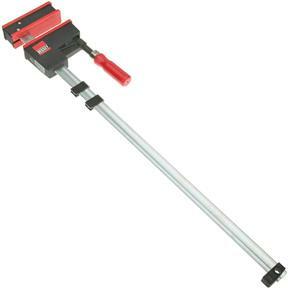 Bessey KRJR-24 - 24" K-Body Revo Jr. 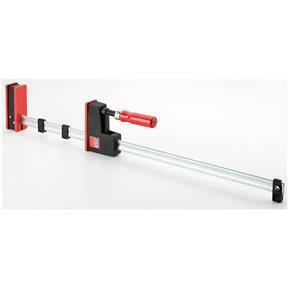 This parallel clamp has 900 lbs. 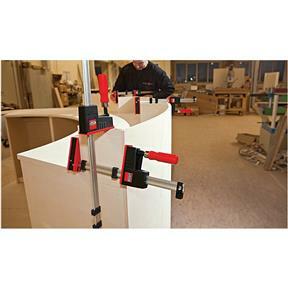 of clamping force to provide the strength you need and can rely on. 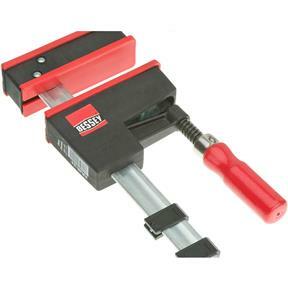 Large surface jaws are accurate at 90 degree angles and have removable pressure caps so you can keep them clean and in perfect working order. 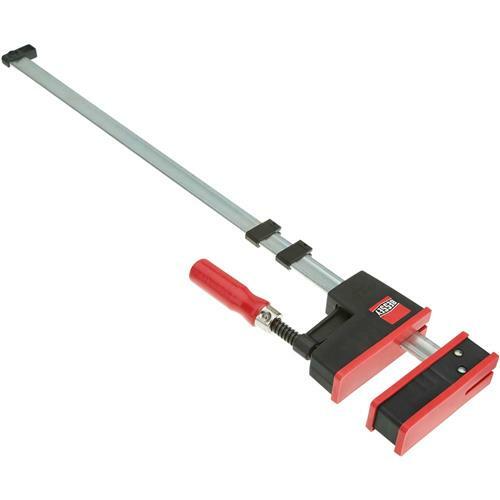 3-1/4" throat depth and 24" long, approximate weight is only 3.1 lbs. 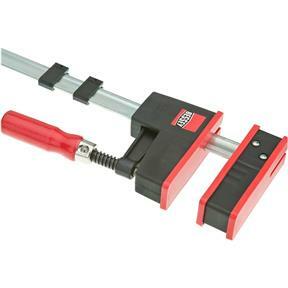 so it's less stress on the user without losing the strength of the clamp. 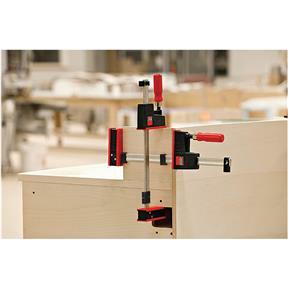 Clamps work fine and I use this product in other lengths also.